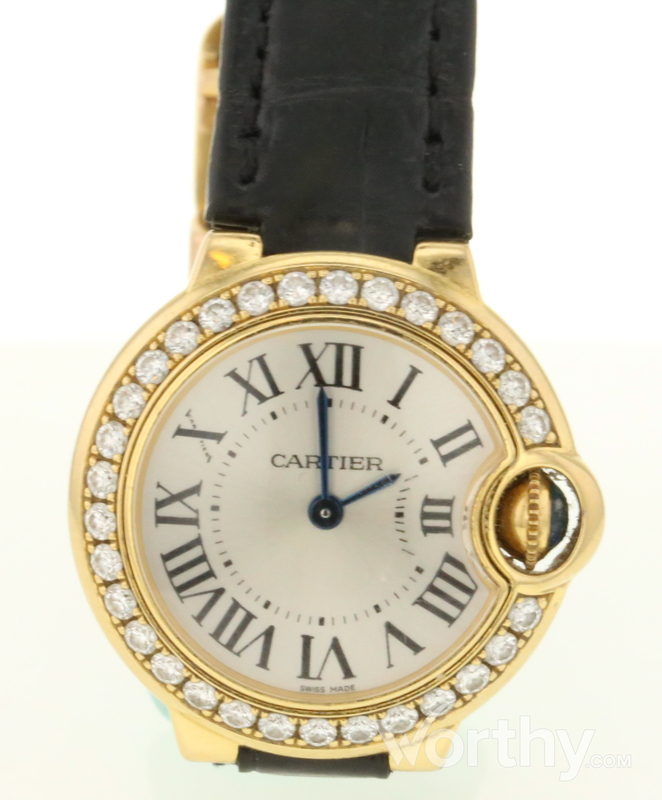 This Cartier we9001z3 Ref. No. : 101651nx was auctioned at Worthy. The woman's watch is 29 mm in diameter with yellow gold case, leather band. It features complication and quartz movement. It is in very good condition and attracted 3 buyers. original Black leather Cartier band with 18 kt gold deployment clasp. Leather band shows wear.Diamond bezel w 30 diamonds. Hands moving not tested.